If you’ve been experiencing unusually high water bills, the culprit may be hidden in plain sight. A leaking/running toilet often seems inconsequential, but think about it; you wouldn’t leave a kitchen tap running constantly for weeks or months on end, would you? Many people choose to ignore this problem as it doesn’t have any real impact on the toilet’s function, but it does waste a heck of a lot of water. This problem doesn’t take long to fix, and taking the time to do so will save you a very significant amount of water which previously just ran into the bowl and down the drain. First of all, we’ll try to teach you the basics about toilets and how they work. Understanding the anatomy of your toilet will help you diagnose and repair any problems or faults you might encounter. The components which make your toilet work, and which are most vulnerable to faults and damage are located in the tank (sometimes called the cistern). Take the top off the tank and ensure that the area is properly illuminated so you can see everything that’s inside. The assembly you see is made up of three components; the flapper, the flush valve, and the fill valve. The fill valve is responsible for regulating the flow of water into the tank. This si what you hear hissing after you flush the toilet, and if your toilet is leaking you will probably hear a constant low hiss coming from the tank. This is the fill valve bringing water into the tank to replace that which is flowing into the bowl and down the drain. You can identify the fill valve by the float which should be attached to it. This rises or falls with the water level. When you flush the toilet, the float drops, causing the fill valve to bring water into the tank until the float rises to a certain point. A leaking toilet may prevent the float from reaching the position required for the fill valve to switch off, resulting in a constant flow of water into the tank. The flush valve should be located in the centre of the toilet tank. Attached to the flush valve is the flapper, which rises when the flush button is pressed and lets water leave the tank. The weight of this water suddenly dropping into the bowl is what gives us the flush effect we all know and love, pushing any waste material in the toilet bowl through the bend and into your septic system. There is no need to be overly concerned about the cleanliness of the water in the tank itself, so you don’t need to take any special precautions when handling the parts in there. This water comes straight from your pipes and should be the same as that from any other tap or fixture in your building. The flapper is a simple rubber device located on top of the flush valve. Due to its nature as a moving part and how susceptible it is to degradation, your flapper is usually the main cause of leaks. If you use cleaning tablets or similar products in the tank of your toilet, the flapper is particularly likely to become damaged due to the corrosive nature of the chemicals you’ve put in there. It doesn’t take much for the flapper to degrade to the point where it no longer properly seals the top of the flush valve, letting water flow into the bowl like a leaking tap. When the flapper lets water leave the tank when it shouldn’t, the float will drop and trigger the fill valve to start letting water into the tank. This creates a vicious cycle which prevents the flapper from sealing again and lets the leak persist indefinitely. The first thing to do is remove the flapper from the flush valve and inspect it for any faults. If it has humps or grooves on it, or is worn at the edges, this will prevent it from sitting flush with the flush valve and creating a proper seal. If you notice damage to the flapper, then you’re in for an easy fix. Switch off the water supply valve which is connected to the tank by turning it clockwise. This will prevent any more water from being waste whilst you carry out the repairs. Check what brand your toilet is and make a note of it, then bring the old flapper with you to a hardware or home improvement store. It should only cost about $5 to buy a new one, and the staff can help you find one which fits the dimensions of the old one you’ve brought with you. Once you’ve done this, you’re ready to go home and install the new flapper. Your leaking toilet should be fixed. The flush buttons on your toilet are connected to the flapper by a chain. If this chain is too long, it can get stuck between the top of the flush valve and the flapper. This obviously prevents the flapper from creating a good enough seal, causing water to constantly leak into the bowl. If you notice chain draping over the flapper as it sits on the flush valve, the chain is too long. Most of the time you can shorten the chain by moving a clip which links the chain and the handle. Once you’ve shortened the chain, you can cut off the excess with pliers or wire snips. This should prevent your toilet from leaking if the flapper is not faulty. Ideally, the water level in your tank should be 3 or 4 centimetres below the overflow pipe opening. If the water is too high, it will leak out of the overflow pipe and be wasted. You can adjust the tank’s water level by tightening the float attached to the fill valve. Many floats have a screw connected to the top, which can be tightened to push the float down and stop it rising too high. If your float is attached by a metal float arm, you can bend this arm to push the float deeper into the tank. If you’ve tried all the previous steps but notice that water is still leaking out of your toilet tank, you might need to replace the fill valve as it could be faulty. A new fill valve should cost about $10 from a hardware store. Simply switch off the water supply and unscrew the old valve, then install the new one. If this doesn’t fix your problem, then the tank must be cracked or damaged in some way and needs to be replaced. If you need professional help to fix a leaking toilet bowl, contact us on 0412 738 874 or leave a message. 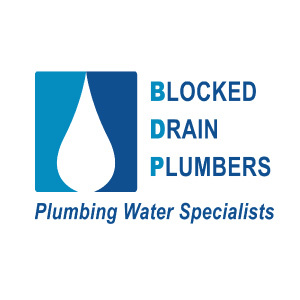 We will take care of your blocked drain problems. 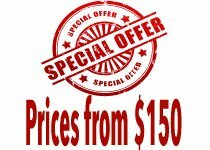 If your problem is a emergency plumber Melbourne matter or a burst pipe and you need urgent assistance contact us right away! 1am, Jake answered his phone when no one else would and was here in half an hour. Thank you!